A few months back I picked up six yards of sequin fabric at a thrift store with some vague notion of cutting off a piece to make a sequin collar and giving the rest away. It sat around for months. I took that fabric out of the bag and did this. I would like to tell you I finished the edges or sewed on some backing but I didn't. It seemed just find the way it was. For the winter it's been put on a chair as a decorative throw. 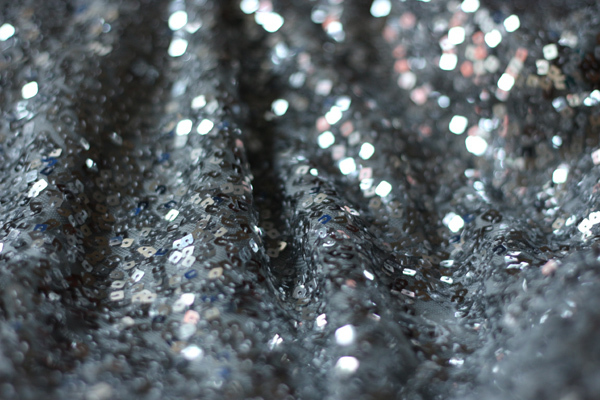 Sequin fabric can run $20 a yard, so this isn't the cheapest throw you'd ever "make". 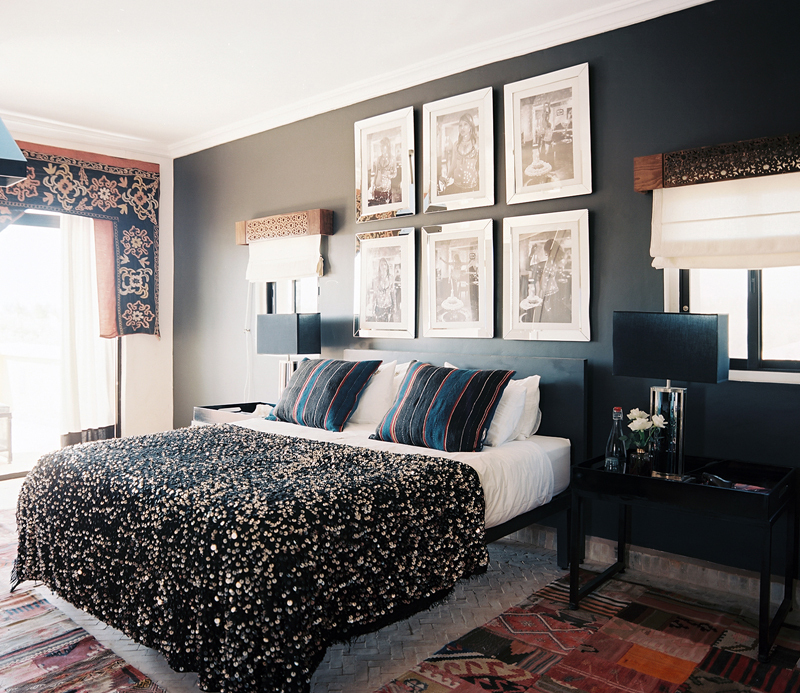 But a real Moroccan wedding blanket is about $800. 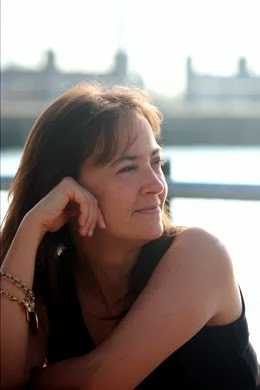 Another option is to modify this tutorial from Heather at Home Modern. 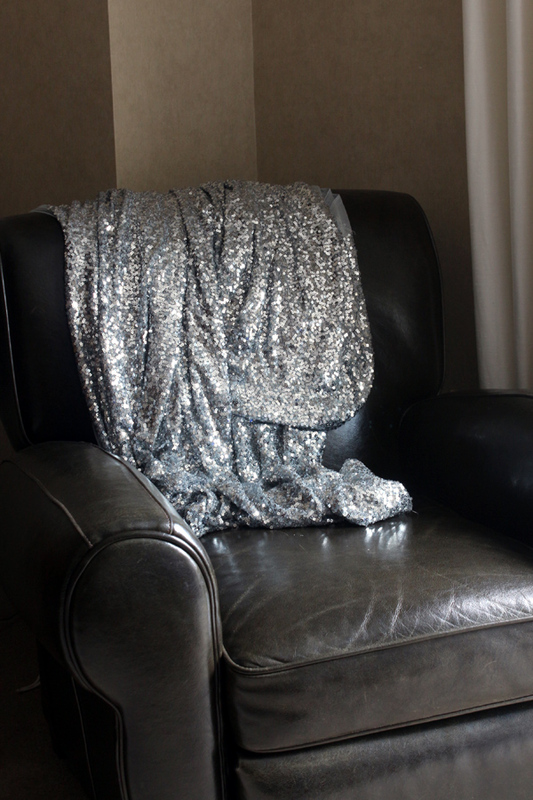 She used a chenille blanket (smart) and embellished with silver fabric paint as seen below. 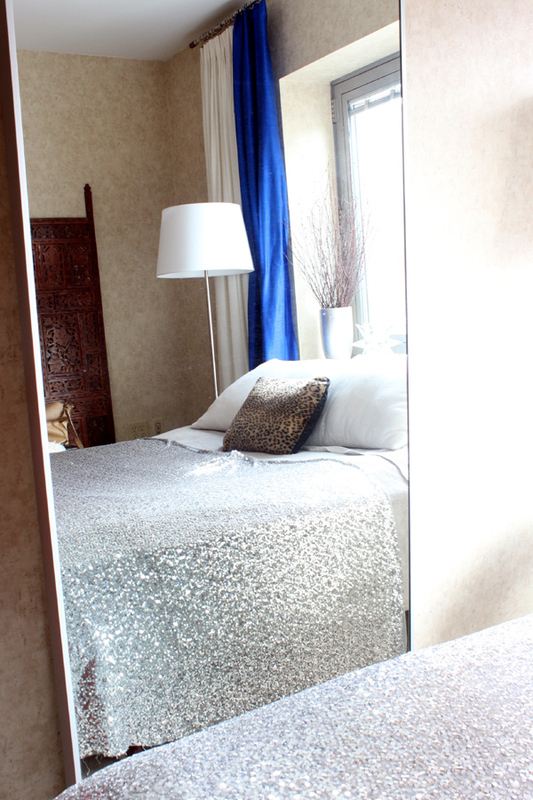 Instead of paint, you can use sequin trim, which is available at most fabric stores for a couple of dollars a yard. Pretty! I think $800 for any sort of trendy blanket is ridiculous... including the Hermes Avalon. There, I said it. Agreed. Price tags with three digits and up are reserved for furniture and automobiles. I totally agree with you - you can never have too many sequins! I love your throw - so simple and chic! This is the Marilyn Monroe lifestyle! If I slept on that bed I'd have a glam cocktail first thing every morning. Ah, Mise, how did you know? I love this! Such a great idea, and it's so perfect for the holidays. Amen, sister! Viva la sequins!!! 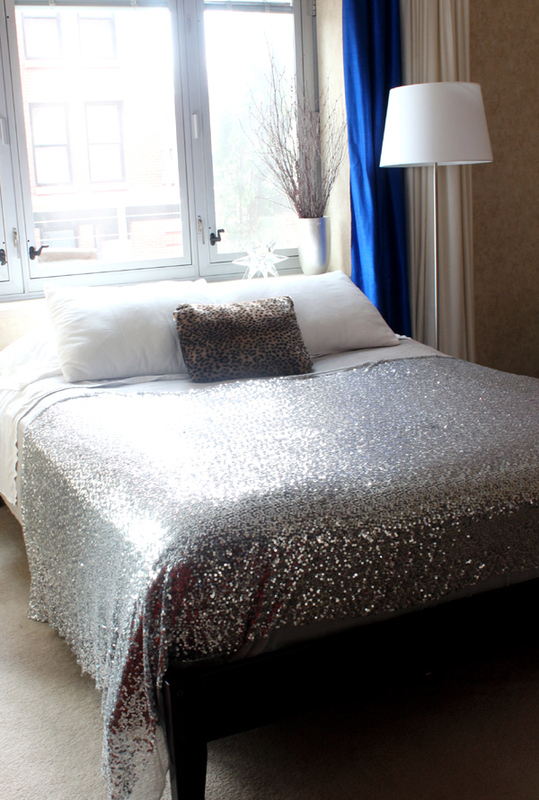 (c; And I *adore* the sequin bed...it looks amazing!!! hahaha, what a great find. I love thrifting! Both ways are so cute: on the bed and in the chair.